During the summer exam period because of exams and general laziness I hadn't managed to maintain my hair for ages, it had faded to a greenish silver colour (let me tell you, once you dye your hair blue it is VERY hard to get the green pigment out of it and I had roots which were pushing over an inch of regrowth. I don't mind a tiny bit of root regrowth but since I had left mine since early March, they just looked ridiculous against the rest of my hair, and plus for some reason when your roots get atrocious when you pull your hair back into a ponytail it makes your hair look greasy. Not good. Anyways once I finished exams my housemate kindly helped me sort my hair out. 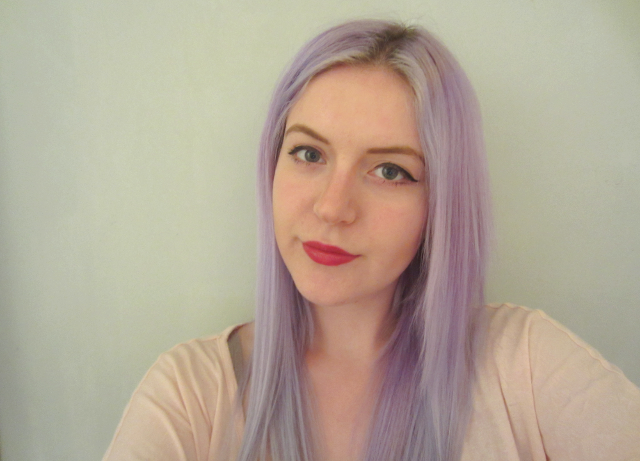 As we went from step one again, I thought this would be a good opportunity to show how I dye my hair lilac. 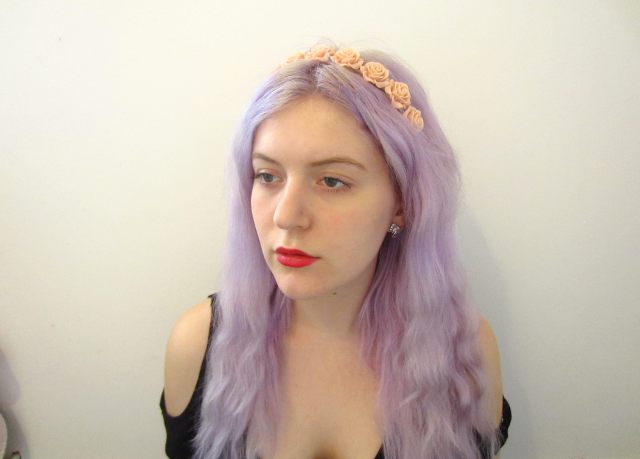 To go lilac or any pastel colour, you need to lighten your hair to the lightest blonde possible, white if you can. We decided to bleach my entire head to get the green out, I've already done this to my hair twice (albeit over the space of a year and half), but luckily I have very thick durable hair. 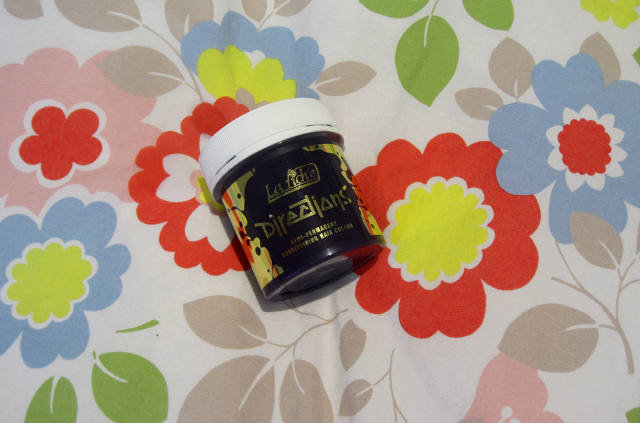 I'm really impressed by the bleach I used which was Schwarzkopf Blonde Ultime LXX Xtra Xtreme Lightener. 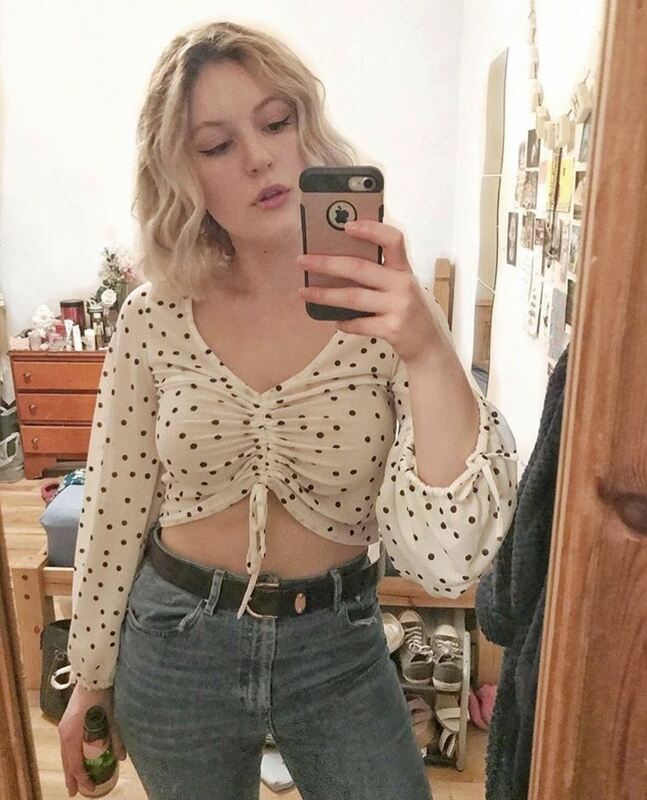 I've never thought of my natural hair colour as super dark brown but since having to do my roots I've always found bits don't bleach quite blonde enough, therefore purple won't take to them and you end up with suspicious gingery or very yellow blonde bits around your parting. So I went with something with a better lift, the Blonde Ultime LXX has 8 levels of lift which is great. It took about an hour and half to do my entire head (used two boxes of LXX and one of LX I had leftover from doing my roots last), then I left it for about another 45 mins before washing it out. It took all the green/leftover lilac out my hair and took my roots the lightest yellow I've ever seen them. 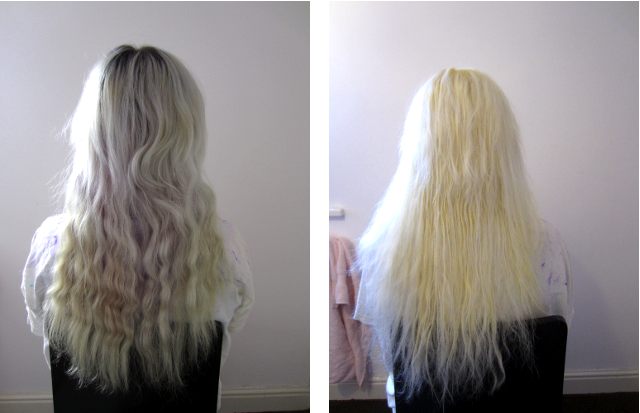 WARNING: If you have weak or super damaged hair, bleaching for this long could snap it off completely. Condition like a mofo after you bleach and only do it if you know your hair can take it! You can tell if your hair is too damaged if you pull a strand and it 'stretches' rather than remaining taught, this is your hair telling you to put the bleach down. I then used La Riche Directions in Silver (accidentally ordered Directions instead of Stargazer, which I normally use), on dry hair and left it for about 13 mins. This really toned my hair well and I definitely recommend toning your hair after bleaching if you are going lilac, you want your hair to be as white blonde as possible. Because it's supposed to be used on damp hair it actually turned some parts of my hair lilac but hey, I was going that colour anyways so wasn't too fussed, but if you're toning hair white be careful. 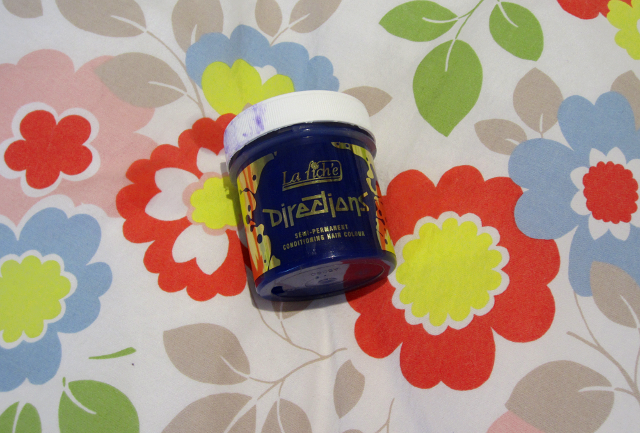 Next I mixed some La Riche Directions in Violet with conditioner to the purple I wanted, my flatmate applied to it to my head, then I left it as long as possible! Most alternative dyes will tell you to apply to towel dried hair for something like 15 mins, which unless you are aiming for a super light pastel tone won't do much to your hair. Plus if you are diluting your colour with conditioner leaving it for longer will just act as a conditioning mask and make your hair feel amazing. Post toning // Freshly dyed! So essentially: Go blonde, CONDITION, go blonder, then go purple! Coming up to this September I'll have had purple hair for a year, how time flies! I would call these baby roots, others would say I need a bleach. It's up to your preference. Depending on your hair length, you essentially do the same as when you dye your hair but only on the regrowth. 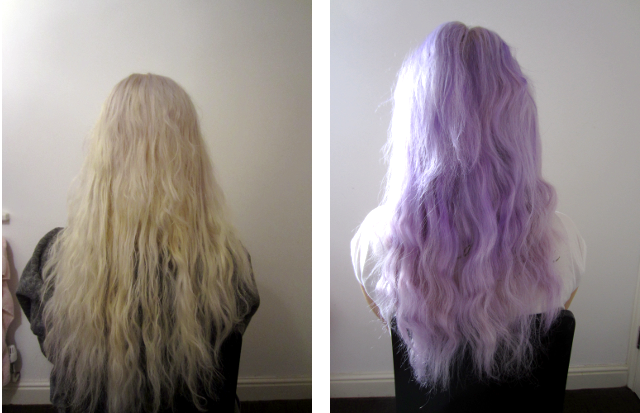 I have a lot of hair so I use two boxes of bleach usually, then again tone them, and dye purple. This is entirely up to preference, pastel colours do fade fast so when it gets too light for you just red-ye it, I find this pretty ease to do myself with a mirror to check the back of my head. 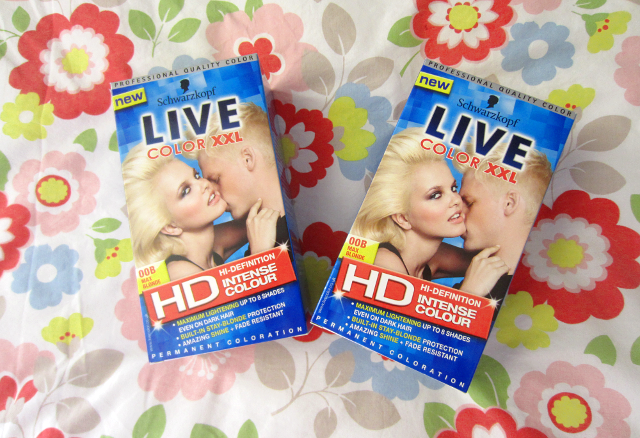 I probably redye my hair once a month, less if I'm feeling lazy. Add purple dye to your conditioner, invest in a purple shampoo (I currently use Lush's Daddy-O which smells of Parma Violets, yum), wash your hair in as cold water as possible, wash your hair as little as possible. Sadly there's no secret to keeping your hair an unnatural colour like purple permanently without dyeing (someone bring out some permanent bright dyes pls). such a great and informative post. I'd love to go a pastel colour! absolutely loving the color of your hair! great post! I just dyed my hair pink, so this guide is very helpfull! Thanks! Definitely do it, even if it's only a streak, being colourful is fun! 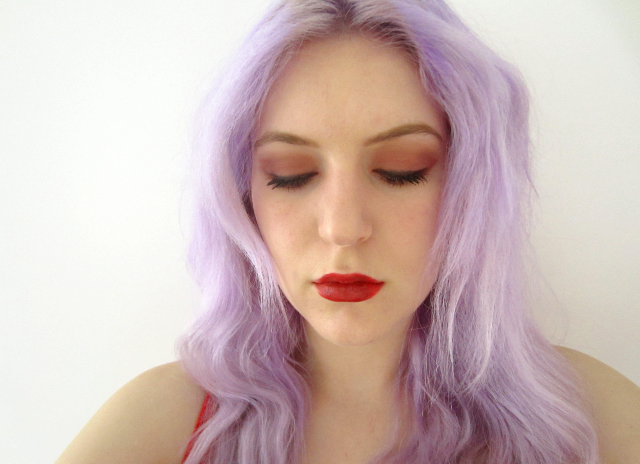 Your hair is gorgeous, I always wanted to go purple but the colour wouldn't stick to my super bleached hair. Beautiful! I love this colour on hair... wish I had the balls!! I love purple hair so much. I always imagined it would be hard to maintain. I would be so lost! I imagine it would be hard to maintain but sounds like you've got it sussed!